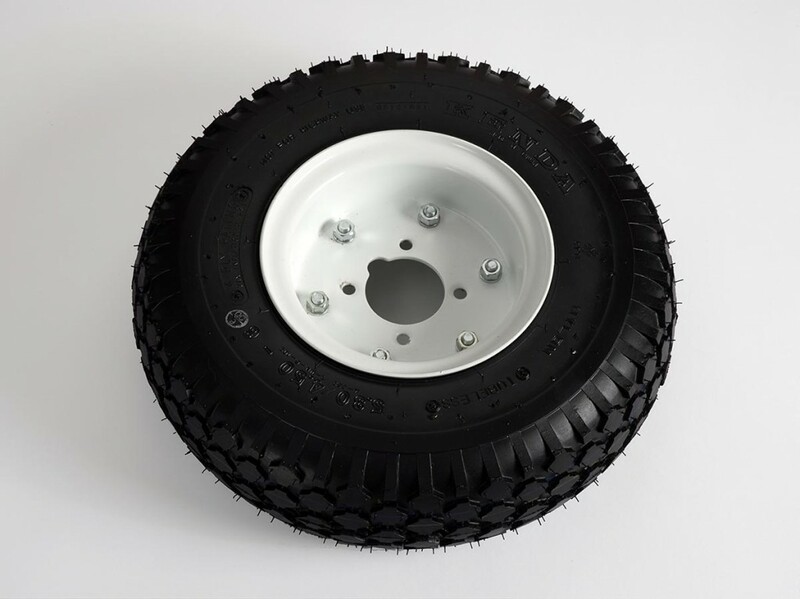 The diamond lug tread on this tire offers great traction in any environment. The 65 durometer rubber tread allows good traction for indoors as well. Filled with American Airless soft/solid foam. The rim is stamped two piece steel.